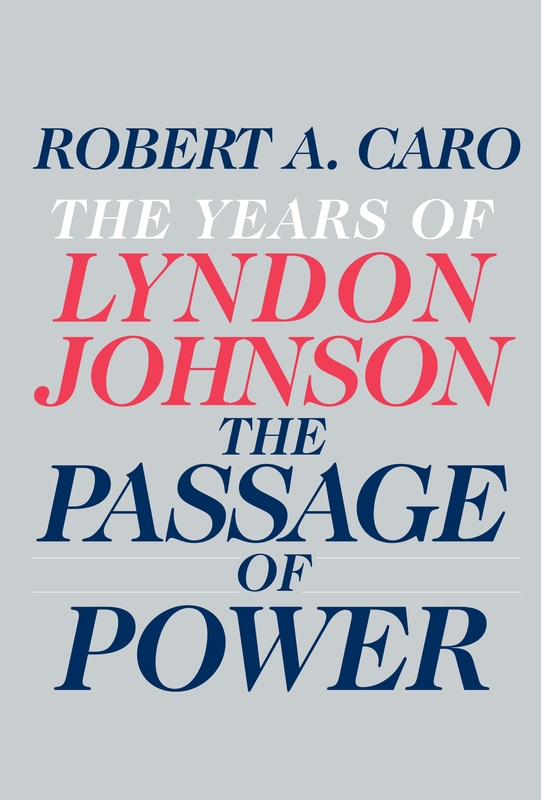 Robert Caro has been studying Lyndon Johnson, the 36th President of the United States (1963–1969), since 1976. The first volume of his epic, multi-volume The Years of Lyndon Johnson appeared thirty years ago, and follow-up volumes have appeared in 1990, 2002, and now in 2012. But the extraordinary journey is not yet complete. Caro, who has already spent 36 years chronicling Johnson’s 38-year Washington career (1931-69), has still barely mentioned Vietnam. However, he has finally got his man into the White House, ready to show his remarkable ability to translate ideals that Kennedy could only dream about into tangible legislation, written, as Johnson would famously say, into the book of law. Reviewed by Paul Brighton. The Years of Lyndon Johnson: Volume 4: The Passage of Power. Robert Caro. May 2012. Knopf Publishing. Passage of Power tells the story of Johnson’s arrival in the White House in November 1963. We experience the extraordinary sequence of events in which LBJ somehow contrived to run and not to run for the Democratic Presidential nomination in 1960, and his almost three years of impotent agony as Vice President, from January 1961 up to his arrival in Dallas along with his chief. Also told is the story of his masterly, faultless assumption of the Presidency after Oswald’s bullets have done their deadly work. An extraordinary balancing act unfolds. “I need you more than Jack ever did”, Johnson tells the courtiers of Camelot. Of the “brightest and the best”, the Salingers and the Sorensens, the Schlesingers and the Bundys, the McNamaras and the Goodwins, some stay for weeks, some for months, some for years. Meanwhile, Johnson, once the masterful Senate Majority Leader who at times seemed almost like Eisenhower’s co-president in the 1950s, rediscovers his touch as he starts work on Senators and Congressmen who, just days before, had been determined to block a Kennedy Civil Rights Bill. Within months, the Civil Rights Act of 1964 is indeed written into the book of law, and LBJ is the President who has done more for American race relations than any but Abraham Lincoln. Caro has said several times that this great series of books is not a biography: it is a study in power, and the use of power. He proves it by passing so swiftly over the external elements of LBJ’s Vice Presidency that he barely mentions the foreign trips on which he was sent by JFK. Even rather significant ones like the visit to Berlin after the wall went up in 1961 receive short shrift. When Kennedy, with the support of his father but emphatically not of his brother Robert, offers LBJ the vice-presidential slot on the 1960 ticket, Johnson eyes up the odds, telling his friends and supporters “Power is where power goes.” They worry that he will be sidelined (he was); and that he will miss the power he wielded as Master of the Senate (he did). But, deep in the back of his mind is the thought that a decent number of Vice Presidents had gone on to be President in their own right. Although he is unsure of the exact number, and although he is not a great reader of history, somewhere in the back of his mind are Tyler, Fillmore, his namesake Andrew Johnson, Arthur, Theodore Roosevelt, Coolidge and Truman, suddenly succeeding dead or slain presidents, not to mention those who succeeded by the due process of election. So, the man who was often likened to a Texas riverboat gambler takes the biggest gamble of his life – and wins. And the man whose skills of personal persuasion may have been among the most brilliant ever deployed in the service of democratic politics embarks on the almost impossible task of bridging Camelot and the Texas Hill Country: and largely succeeds. Caro is right to marvel at the fact that LBJ, one of the most devoted political practitioners in democratic history, somehow failed to understand the implications of the arrival of two new trends in the political process. In 1959-60, Johnson felt he could win the nomination as an insider – as a sort of latter-day Warren G. Harding, emerging from the smoke-filled Convention rooms in the summer. He largely failed to appreciate the importance of the rise of the primaries. Even more fatally, he simply did not appreciate how a telegenic, likeable and well-packaged figure like JFK could use television to circumvent the traditional power-brokers of the Democratic Party and win the nomination by adroit use of the media. One of the reasons why Johnson polls very highly among professional scholars and historians (sometimes, surely rightly, even ranked in the top ten of the American Presidents), and yet remains a relatively uncelebrated figure among ordinary folk (albeit with the conspicuous exceptions of African and Hispanic Americans), is that he never made the leap that FDR and JFK did (and which, arguably, Obama did with the internet in 2008) in embracing the new media of their day. For this reason, and because he could not aspire to the personal glamour of a Kennedy, while at the same time never descending to the villainous depths of a Nixon, LBJ has never yet become a real icon of popular culture. However, Caro’s titanic series, already a favourite of such dedicated political professionals as Gordon Brown, Michael Howard and William Hague, may just be LBJ’s best hope of securing the legendary status he deserves. A work which, 30 years ago, attracted the scorn and animosity of Johnson’s widow and daughters, already stands as one of the finest warts-and-all tributes to an extraordinary President. All lovers of history and politics must pray that, at 76, Robert Caro is spared to complete his life’s work. Paul Brighton is Head of Department of Media and Film at the University of Wolverhampton. He grew up in Wolverhampton. He attended Wolverhampton Grammar School, and won an Open Scholarship to Trinity Hall, Cambridge. He got a First in English and, after postgraduate research at Cambridge, worked for the media. He was a BBC Radio presenter for twenty years, before becoming Head of Broadcasting and Journalism at University of Wolverhampton. His book “News Values” was published by SAGE in 2007. He is now Head of Media, Film, Deaf Studies and Interpreting; and his next book “OrIginal Spin: Prime Ministers and the Press in Victorian Britain” will be published by I.B. Tauris next year. Read reviews by Paul.